Every woman who has ever fantasized about driving past her exit on the highway instead of going home to make dinner, and every woman who has ever dreamed of boarding a train to a place where no one needs constant attention--meet Maribeth Klein. A harried working mother who's so busy taking care of her husband and twins, she doesn't even realize she's had a heart attack. Surprised to discover that her recuperation seems to be an imposition on those who rely on her, Maribeth does the unthinkable: she packs a bag and leaves. But, as is often the case, once we get where we're going we see our lives from a different perspective. Far from the demands of family and career and with the help of liberating new friendships, Maribeth is able to own up to secrets she has been keeping from herself and those she loves. With bighearted characters--husbands, wives, friends, and lovers--who stumble and trip, grow and forgive, Leave Me is about facing the fears we're all running from. 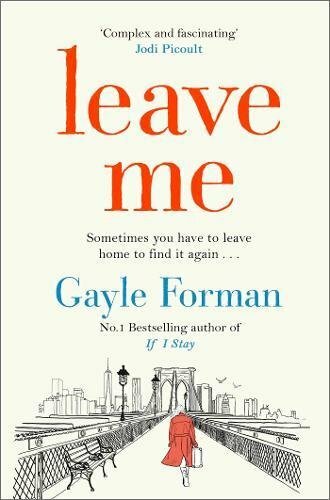 Gayle Forman is a dazzling observer of human nature. She has written an irresistible novel that confronts the ambivalence of modern motherhood head on and asks, what happens when a grown woman runs away from home?